Udo Jung was born in 1966. After graduating from Kassel University in 1990 with a degree in mechanical engineering, he started his professional career in the R&D department of Babcock-BSH AG, based in Bad Hersfeld, Germany. Over the following five years he worked in various positions in the field of clean room components and systems. In 1997, he joined the fans division of TLT-Turbo-Lufttechnik – now TROX TLT GmbH, Bad Hersfeld – where he eventually held the position of Managing Director. In that role he was responsible for product development, production, domestic and international sales, and marketing. Until 2012, fan manufacturer TLT-Turbo-Lufttechnik was part of a number of different parent companies, including Deutsche BABCOCK, Kühnle Kopp & Kausch AG, ECM Equity Capital Management GmbH, and SIEMENS AG, but not part of the core business of any one of them. 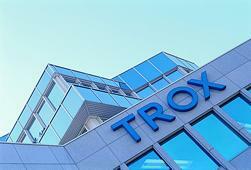 Finally, in October 2012, TLT-Turbo-Lufttechnik became part of the TROX GROUP. From 2013 onwards, Udo Jung was head of product management and safety-related products and systems of TROX GmbH, Neukirchen-Vluyn. On 14 September 2015, Udo Jung was appointed CEO of TROX GmbH and has been responsible for product management, production, sales, and R&D. Since 1998, Udo Jung has held various positions in the smoke control and fire protection working and expert groups of VDMA, the German Mechanical Engineering Industry Association. He currently heads both working groups and is also the deputy chairman of the fire protection working group. From 2008 to 2014, Udo Jung was chairman of the AGE Smoke Control Action Group. Since 2016, he has been a member of FLT, the Research Association for Air Distribution and Drying Technology. Since April 2017, he has been deputy chairman of the VDMA's General Air Distribution Technology committee. Since June 2017, Udo Jung has been one of the chairpersons of the FGK Association for Buildings and Climate.